Rus Wadia is a friendly looking sort, but at one point during a recent interview with Inventors Digest his expression grew serious. He leaned closer. He meant business, and in a good kind of way. In 2011 Wadia and his wife, Farida, founded HHI, a Charlotte philanthropic entrepreneurship that partners with not-for-profit InReach (inreachnc.org) in the same city. For 42 years, InReach has worked with people who have intellectual and developmental disabilities. InReach assembles all of the components of Hangeroo – picture hanging tool a simple, eco-friendly invention made in the USA that facilitates quick and precise hanging of a wired picture frame or mirror onto a common picture hook. A donation is made to InReach for every Hangeroo kit sold. Of course, HHI is among many entrepreneurial organizations associated with the partial donation of proceeds and/or time to help others. 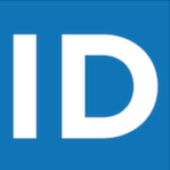 On the larger end of the scale, Bellevue, Washington-based Intellectual Ventures (intellectualventures.com)—one of the top five holders of U.S. patents—supports numerous invention-related foundations, programs, competitions, exhibitions and initiatives with a primary focus on invention, STEM education and the IP industry. When you’re building costumes as elaborate, creative and as loving as these, Halloween is a year-round event. Magic Wheelchair (magicwheelchair.org), a nonprofit that builds custom “costumes” for children in wheelchairs, was founded by Ryan and Lana Weimer of Keizer, Oregon in 2014. Three of their five children were born with spinal muscular atrophy, meaning they will need wheelchairs for their entire lives. Program guidelines call for kids—with their parents’ permission—to submit a 1-3-minute video telling them what costume they want for Halloween (or a parade, celebration, or another event) and why they should be selected for this year’s Magic Wheelchair Build. 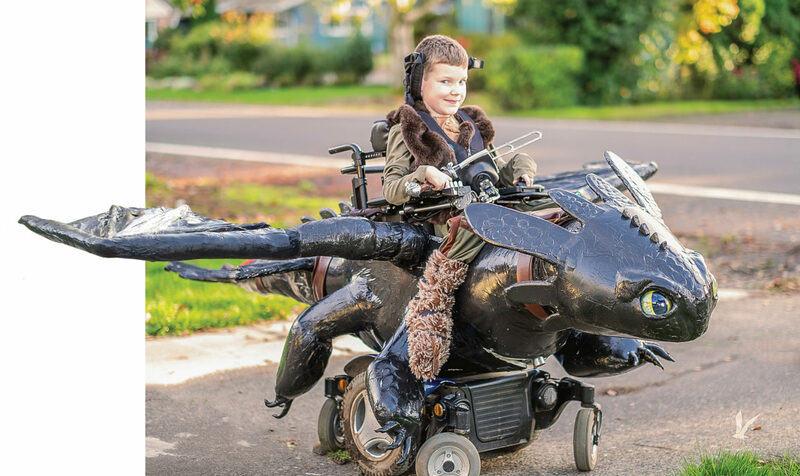 Magic Wheelchair reviews the submissions and selects five children, who work with designers and builders to create the ultimate wheelchair costume in time for their event. The concept began when Ryan Weimer asked his son, Keaton—diagnosed with SMA at 9 months old—what he wanted to be for Halloween 2008. Keaton said he wanted to be a pirate, and his dad’s imagination went into overdrive. “I didn’t know how I was going to do it, but we ended up building a pretty cool pirate ship around his chair,” he says. Ryan and Lana are aided by a growing army of volunteer builders but are always looking for more. Especially in the organization’s initial stages, “it was like being Santa Claus and having one elf in the shop,” he says. The organization now has 21 build teams in various numbers throughout the country, up from six teams a year ago. Their creations have been featured on diverse media ranging from NBC News to The Huffington Post to MTV. The Beacon Visionary Plus Challenge (visionarychallenge.co.uk) is a competition launched by Beacon Centre for the Blind (beaconvision.org) based in Wolverhampton in the West Midlands, England. The event aims to inspire businesses, groups and individuals to develop products and services to improve the well-being of all people with sensory impairments. The purpose of the prize (about $25,000 in U.S. dollars) is to help people turn their ideas into prototypes and have them viability tested. Those ideas will go to a panel that will look at them and judge them on their possible financial returns and the difference they can make for people with sensory impairment. The Washington, D.C.-based Intellectual Property Owners Education Foundation (ipoef.org) is a nonprofit organization devoted to educational and charitable activities designed to improve intellectual property rights. It recently collaborated with writer Neil Milton on “Intellectual Property Law for Dummies” (ip-for-dummies.com), a handy guide to all basics of IP law that serves as an excellent marketing, education or outreach tool. The National Inventors Hall of Fame (invent.org) says it is “committed to honoring visionaries, inspiring inventions and challenging the next generation. Our incomparable archives celebrate the life-changing achievements of U.S. patent holders, and our innovative programs cultivate the emerging inventor in every student.” Its Hall of Fame selections, inducted each May, are among the most influential contributors to society in any number of disciplines. The Hall of Fame is located within the United States Patent and Trademark Office in Alexandria, Virginia, nine miles from Washington, D.C. The Hall of Fame also operates the Collegiate Inventors Competition; Invention Project for youths; and Camp Invention. The United Inventors Association of America (uiausa.org) empowers inventors through education, access and advocacy. The National Congress of Inventor Organizations (inventionconvention.com/ncio/index.html) features free articles, information and resources. LegalCORPS (legalcorps.org), which connects volunteer lawyers with small businesses and nonprofit organizations in Minnesota, has come up with the Inventor Assistance Program—said to be the first program in the United States to provide free legal representation to low-income inventors seeking to patent their innovations with the USPTO. San Francisco-based Invention Hub (inventionhub.co) is part nonprofit workspace, incubator of socially good businesses, corporate brainstorming hub, and a job creation program. Among its projects: Not for Sale, a nonprofit that fights human trafficking and is creating a training program for survivors. As vice president of the recently formed Edison Innovators Association (edisoninnovatorsassociation.org) in Fort Myers, Florida, Cathy Solich relishes the importance of contacts nearby and in other states. Before traveling to other states, she would routinely check Inventors Digest for clubs. “By attending other groups, I made new contacts as well as took notes to bring back to our board on how other groups operated,” she said.